Research Topic: Use of transmission line rights-of-way and New England cottontail clearcuts by adult and fledgling songbirds during the breeding and post-breeding periods. 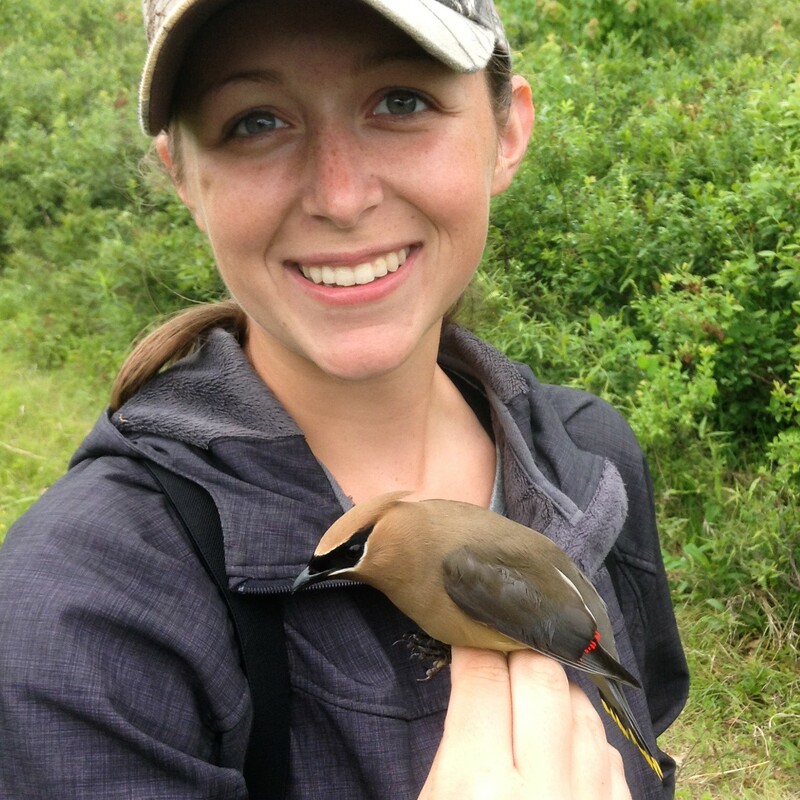 My research focuses on evaluating the entire bird community throughout powerline rights-of-way (ROW) and clearcuts in southeastern NH and southwestern ME. Shrubland bird populations have been in decline in correspondence with decreases in early successional habitat across the northeastern landscape since the 1950s (Askins 1993, Dettmers 2003), and a heterogeneous landscape can be important for many suites of bird species. It is unknown thus far how the entire bird community responds to different management techniques within ROW and clearcuts across both the breeding and post-breeding periods, and my study will use permanent-effort mist netting at 36 sites over 2 years to investigate this response. My study will seek to inform management decisions on powerline rights-of-way and in clearcuts to best sustain the wide range of bird species that rely on these unique areas.